Rich, nutritious, and dense. 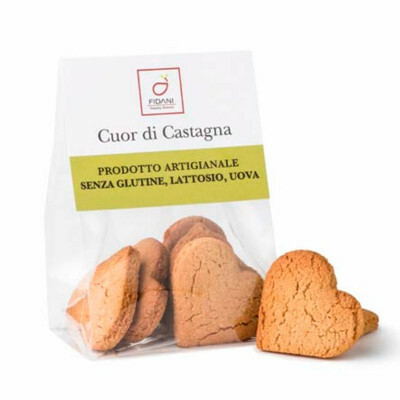 This exquisite chestnut flour gently blends into honey, orange, lemon and cinnamon. When “free” feels like “full”. These gluten-free, lactose-free and egg-free biscuits are delicious sweet little hearts secretly healthy. Rice Flour, Sugar, Delactosed Butter, Delactosed Milk, Chestnut Flour, Potato Flakes, Honey, Natural Flavourings (Lemon, Orange, Vanilla), Raising Agent (Sodium Carbonates), Cinnamon.